July 9, 2018 (Last Updated: April 17, 2019) - As an Amazon Associate I earn from qualifying purchases. Pizza is one of life’s perfect foods and this Weber Pizza is proof of that. No matter the time, place, or cooking device, a delicious pizza can be made. Today we fire up that grill to make a Margherita Style pizza. Pizza is an old friend of mine. Heck, I have made the dough, sauce, AND cheese for my pizzas from scratch in the past. We did an entire series on Chicago Deep Dish. One thing I have never been able to get right, until now, is grilled pizza. It was about time I learned some new pizza tricks. 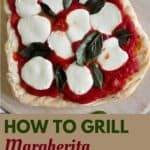 So, I fired up my Weber grill, overcame my past obstacles with grilled pizza, and developed a great Margherita Weber Pizza. 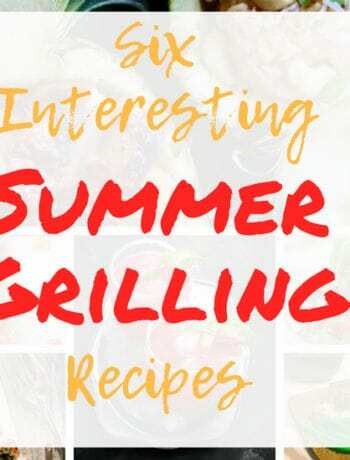 We are deep into our grilling series and are going to focus on making a delicious Margherita Style Weber Pizza today. This pizza is not hard, but it does need a little bit of time. We are not going to be purchasing a pizza dough, but making it from scratch. While I love all parts of a pizza, I think the dough is the superstar of most pizzas, so we are going to put our effort and time into that part of this recipe. I am using a dough recipe that was inspired by this one. It is intended for NY style pizza and I have made some slight modifications in ingredients and in cooking. The dough for this recipe will need a day or two. You could try and hurry it up, but I recommend taking the extra time to let your dough steep in its own pizza dough glory. This recipe could be cooked with a pizza stone, but I intentionally decided to leave it out. We are grilling, right? I want those grill marks on my pizza! Additionally, it will cut down on the preheat time since pizza stones can take a while to heat up. First, to be clear, what we are going to make is not strictly a Margherita pizza. 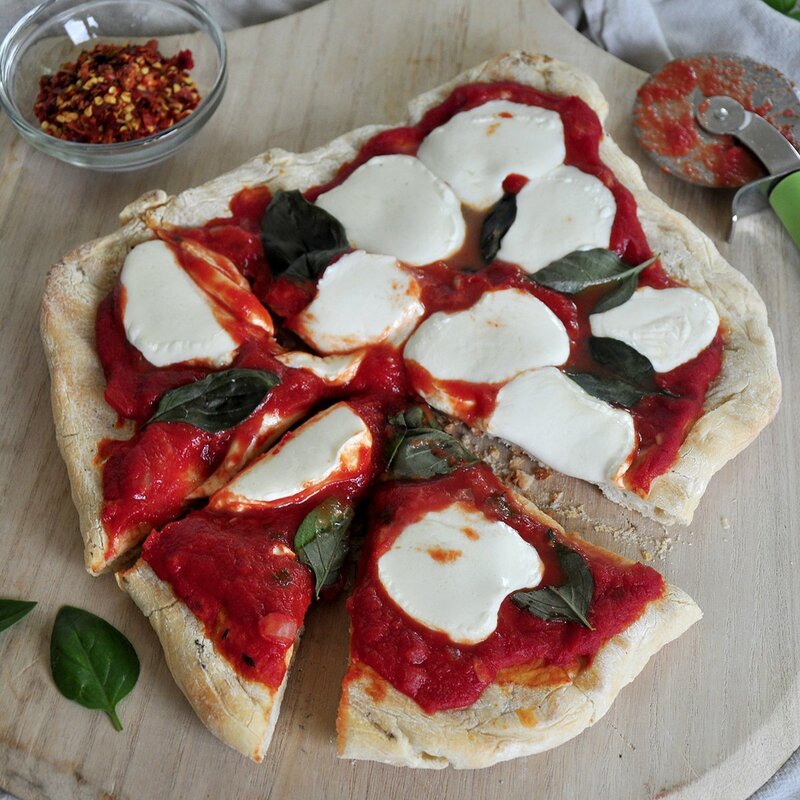 A traditional Margherita pizza is of a Neapolitan style which is cooked in a fairly specific way. The European Union actually has some very specific definitions of how it is to be prepared and served. We are not following those guidelines. First, we are not using San Marzano tomatoes. Second, our dough is a take on a New York Style pizza and we will be cooking it slower and at lower temps than the 1000 F that some Neapolitans are cooked. We will be cooking ours at a modest 325 degrees Fahrenheit. While the dough we make will make two pizzas, we are only going to be making ONE pizza. We will wrap up the other dough ball and put it in the freezer for future use. 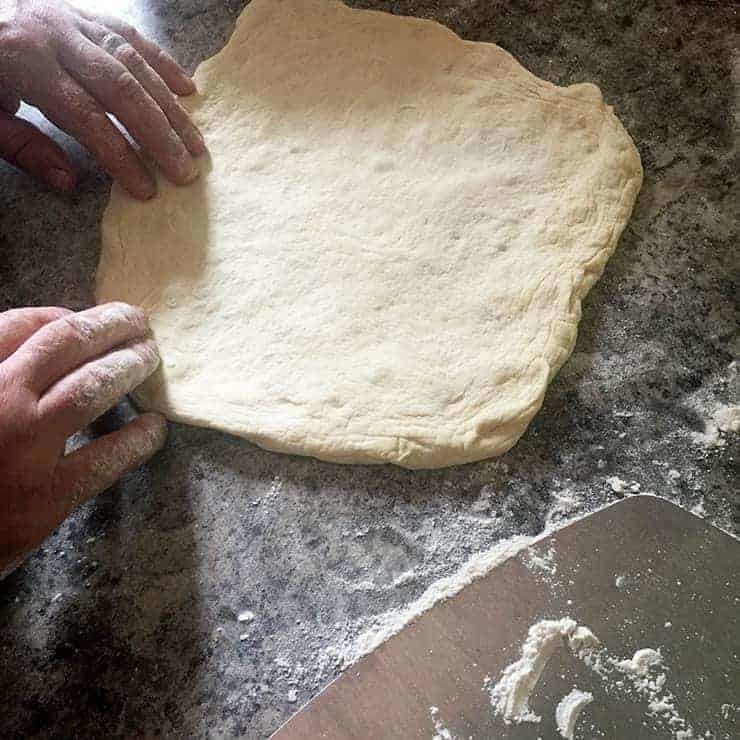 While the dough ingredients will have listings for two pizzas, we will only be making one complete pizza. Each pizza will serve two people. 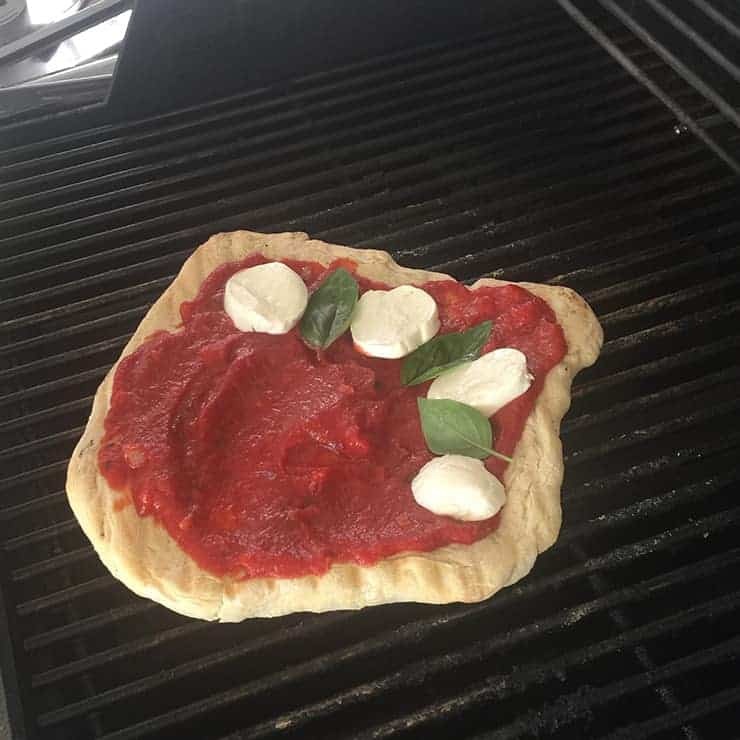 One of the first things I tried to cook in my Weber, when I purchased it, was a traditional Neapolitan Margherita pizza. 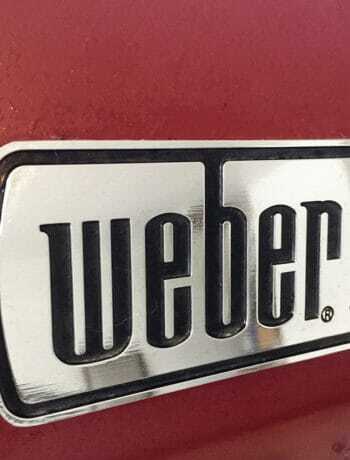 My Weber can get pretty hot. Much hotter than my oven can, so I was very excited to up my pizza game on my Weber. Unfortunately, I learned some lessons very fast. The big problem I found is that I could get my temps up really high, but only on the bottom. Even with barely any ingredients, I would end up with a burnt bottom and cheese that was still not melted on top. Now, there ARE solutions to this. There are several different kinds of attachments that a person can hook up to their kettle grill that provides more even radiant heat. There are also many DIY tricks I found that would involve a second pizza stone that stood on top of the pizza. I just have not gotten around to trying that methodology, as I was so dang frustrated. 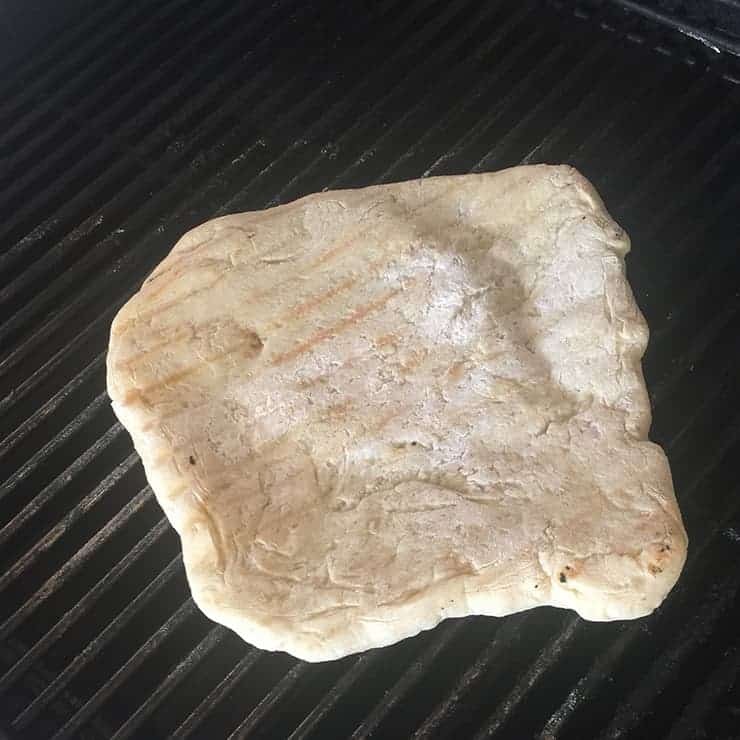 In fact, I put down pizza making on my grill for well over a year. What a great time to pick it up, right? This series has allowed me to up my grilling pizza game with this Weber pizza! One thing that I have learned with pizza dough (or really any baking) is that measurements matter! I tend to get burned (see what I did there), whenever I work with recipes involving dough that need a rise, but that are not measured out exactly. So, we measured things out exactly. Perhaps a person can get away with not measuring exactly on some of the more sweet dishes, but for this Weber pizza and really any bread related recipe, I measure. So, if you look at my feature photos and some of the better-curated photos, you will see a wood pizza peel. It looks nice, but that damn thing has caused me so many problems. In the past, a problem I have encountered is having my pizza stick to the pizza peel while slipping it to the cooking instrument. This isn’t just a grilling problem, but a pizza problem. Sure, I have tried adding cornmeal and extra flour to the peel… I still do that. A metal pizza peel was the answer. When dealing with the raw dough, just make sure your pizza can slide off the peel. Make sure to keep the peel dry and sometimes I just slip the dough around the peel. Granted, since we are not adding ingredients before it is added to the peel, it is not quite as much of a problem, but just be warned that this could be an issue and to be careful. 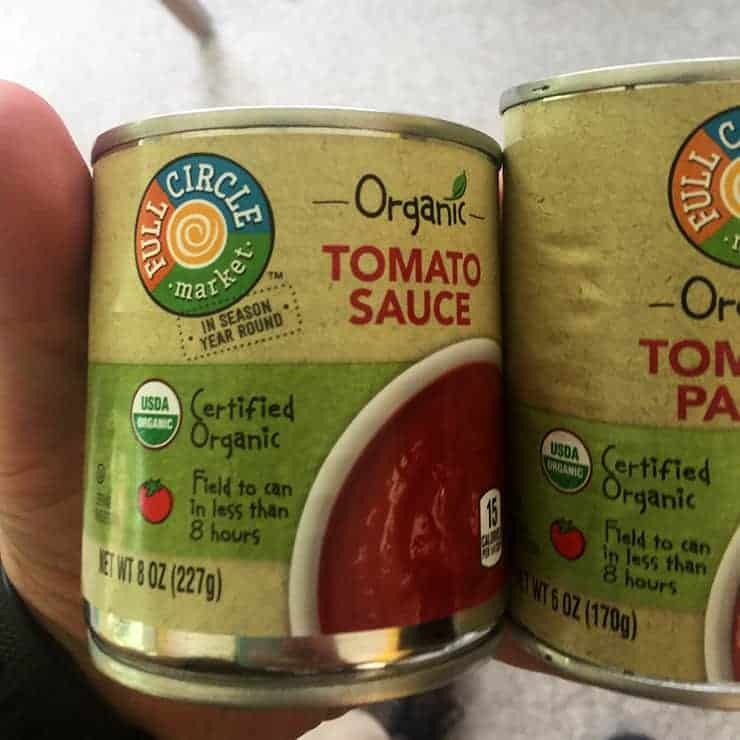 Alright, we are not making our sauce from scratch, but we are going to make a sauce that is tasty, simple, and will add a tad of that homemade feel. A little olive oil, fresh garlic, onions, fresh thyme, some tomato sauce, and a little tomato paste. We add the oil, garlic, and thyme to a medium saucepan at lower temps for a while. Just enough to glass over the garlic and not burn the fresh thyme. Then, we add all the other ingredients and allow it to simmer for a while. Here is a great technique for stretching your dough. It may sound a little cheesy (see what I did there), but the guy is right that you have to feel out your dough ball and let it guide you. 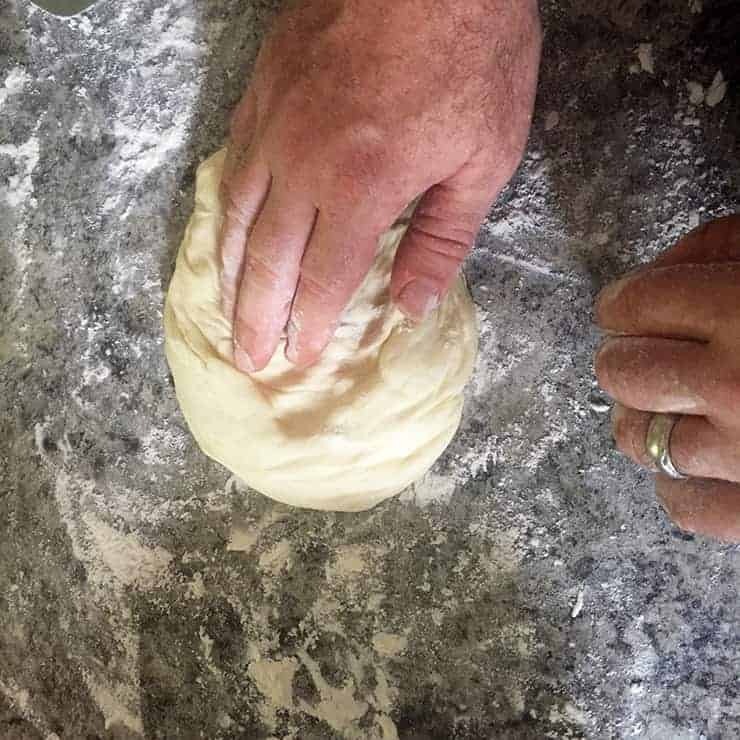 If you start roughhousing with your dough, you can make a crust that is too dense. If you don’t take care of it enough, your pizza will not be big enough around. 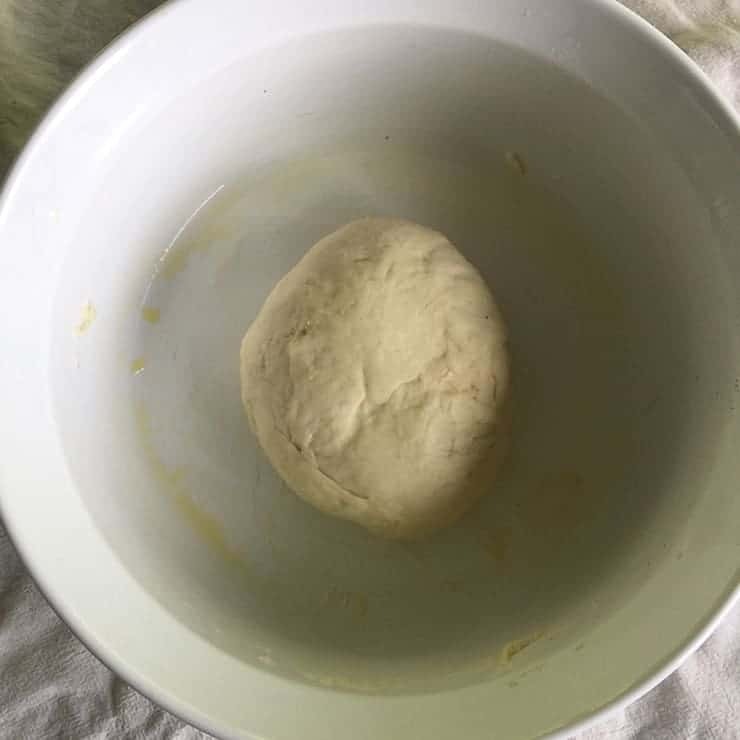 This is the pizza dough after it has risen, but prior to stretching. Probably the one thing that I changed in my pizza making for this Weber Pizza is how I actually bake the dough. I do not place the entire ready-to-bake pizza on the grill at once. Instead, I allow the dough to cook alone on the grill for a bit. Then, I flip the dough for a few more minutes. Finally, I flip it back and add all the toppings. 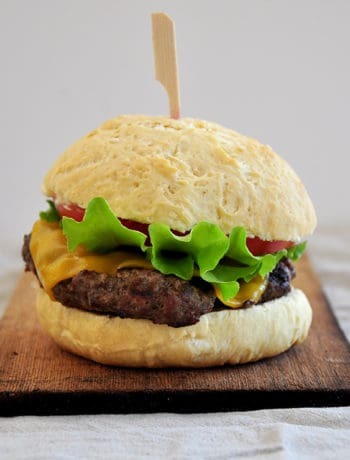 So, one thing to keep in mind is to have your toppings ready by the grill before you start baking the dough. After pizza dough has been flipped twice and sauce has been put on. Once the pizza is on the grill, you will need about 20 to 30 minutes for it to cook. Approximately 10 minutes of the dough cooking on the grill by itself and then another 10 to 20 with the toppings on it. While cooking, you should keep an eye on everything. There is a little bit of feel that will need to go into this. There are no ingredients that are unsafe to eat if not cooked well enough, but to provide maximum flavor and texture, you want to make sure things are cooked just the right amount. If the middle of your dough, during the dough cooking phase, is starting to look too brown, perhaps it is time to flip it or put the ingredients on. I really have learned quite a bit during this grilling series and one of the things I am happiest with is getting this Margherita Weber Pizza down. 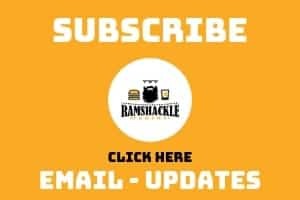 If you like what we are doing here, please subscribe to get updates via email or follow me on Instagram! Add all ingredients to mixing bowl and manually stir until everything is incorporated. Knead by machine (or hand) until the dough is smooth. In my KitchenAid, this was approximately 5 minutes. Make sure it is a ball and lightly coat with oil. Place in a covered dish for 1-2 days. 3 hours before you intend on baking, take out of the refrigerator. Divide into two equal pizza balls. We will only be using one today. For the other, I wrap it in a freezer bag and put in a freezer. For the pizza ball we are using, I allowed to rise in my oven with it off, but the oven light on. Now, for the sauce. 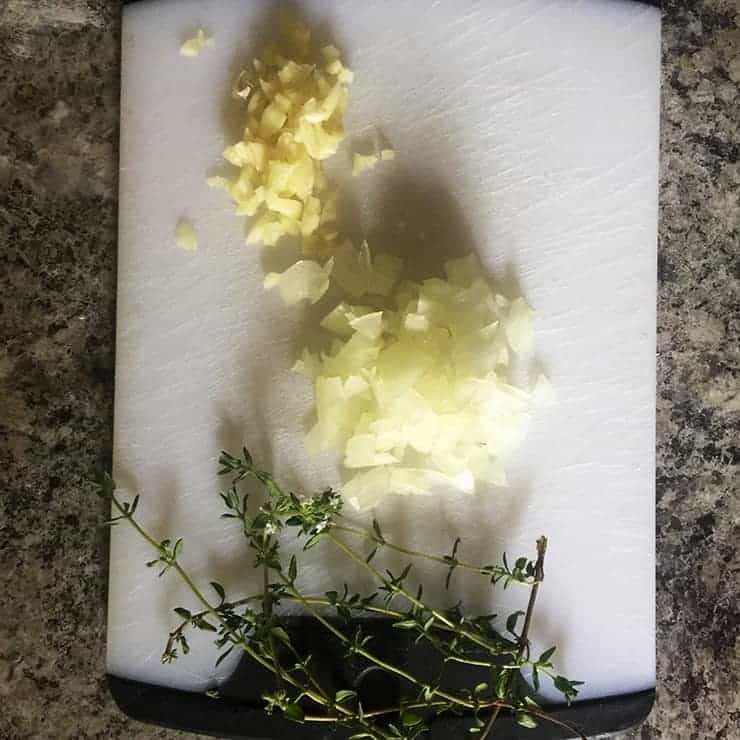 Add oil, thyme, onions, and garlic to a medium saucepan over medium-low heat. Allow garlic to soften, but nothing to burn. Turn temp down if anything starts to brown. Once garlic is softened and glassy, add tomato sauce and paste. Preheat your grill to 325 or as close as you can get it. It should not be a high temp. Stretch the dough as instructed in the notes. Once dough is stretched, add to preheated grill and close cover. Flip and allow to cook for five more minutes with the cover on, but watch to make sure nothing is burning. Flip, add sauce first, then cheese and basil leaves. Allow to cook covered until cheese is melted, but the crust is not burned. Should be 10-20 minutes. The Dough makes for TWO pizza balls, but we only make one pizza for this recipe and then freeze the other. Allow for an extra 2 hours for dethaw when using the second ball.